Well, I don't know about you, but it felt like there should be daffodils making their spring debut today. After the week we had last we with those arctic temperatures, this weather is a welcome relief. I'm trying not to get my hopes up too much, even though Punxsutawney Phil says spring will be here soon. If only this is what it felt like this past Saturday! 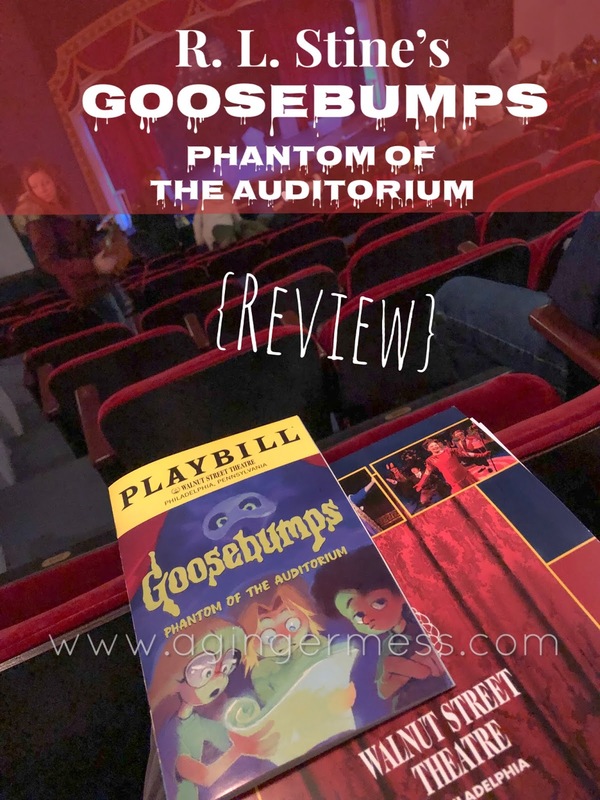 My daughter's and I had tickets to see the newest show at the Walnut Street Theater, Goosebumps: Phantom of the Auditorium and were very excited to go. The only thing was, it was like the North Pole outside, so the thought of taking the subway down and walking five blocks was not that appealing. Even though I swore I'd never drive downtown after that last fiasco and my bouts of road rage, we decided it'd be better to drive down instead. I promised the girls I'd stay chill this time, and other than getting distracted by the freezing water on the side of the Sckuylkill Expressway (which was pretty spectacular) and nearly rear-ending the car in front of me, it was actually a pleasant drive. When we arrived at the parking garage a block down on Walnut, the price for daytime parking was not a high point. The last time I drove down, the evening rate was only $12 but for some reason, it is $27 during the day, a fact I didn't even realize until we went to pick up my car. My usual planning self let me down because I assumed it'd be the same price and didn't check the Best Parking app. It's my own fault. Who doesn't love throwing money out the window? Other than that, it was a great morning! We all got along and we made it there safely! The girls and I arrived at the theater with plenty of time to spare and were seated upstairs again. This time, however, it was a little further up than the past two visits. Actually, we enjoyed these seats because we had an excellent view of all parts of the stage. 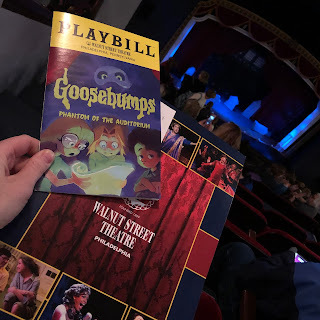 So far this season, I think Goosebumps may be my favorite play. As much as I loved Matilda and A Christmas Carol, it's not as much fun when you know exactly what's going to happen. Even though I do annoy my family with my usually accurate predictions, which didn't fail me this time, not knowing the plot made the experience a lot more exciting. From the opening song to the show's closing, the six-member cast had me hooked. Honestly, we were singing the Goosebumps songs after we were out of the theater and even Google searched videos on YouTube trying to find it again. I know when my kids are looking up songs from movies or shows they've seen, they actually really enjoyed it! 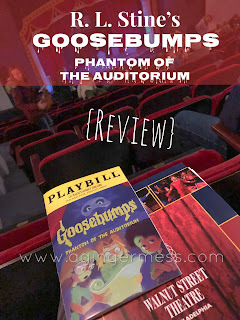 Goosebumps: Phantom of the Auditorium delivered exactly what my family hoped for. There was only a 'little' bit of scary and a lot of silliness. The play is based on a book by R.L. Stein, a famous children's author. You can read the full synopsis on the Walnut Street Theater page, but the play is about a pair of best friends who are starring in a play that may be cursed. There may or may not be a phantom and may or may not be the tiniest bit scary (but not really)! The show is only running from now until February 10th, so don't wait! Get your tickets now! Overall, our family really enjoyed ourselves. 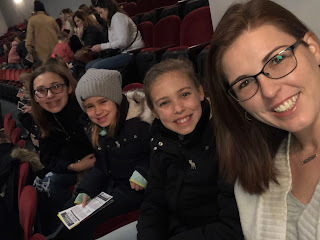 What I love about the children's series at Walnut Street Theater is the fact that the plays only last about an hour, with no intermission. It really is the perfect little family outing. The play was adorable and was the perfect length for younger children. Next time, I'll just do my parking research so I get the best deal. Though I received tickets to the production at no cost, all opinions are my own.